ASTANA, October 12. /TASS/. 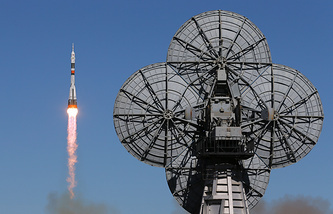 Kazakh specialists have found a fragment of the faulty Soyuz-FG carrier rocket 40 km from the city of Zhezkazgan in the Karaganda Region, spokesman for the Emergencies Committee of Kazakhstan’s Interior Ministry Nursultan Nurakhmetov told TASS on Friday.